2 x 16A 2P+E sockets and 50m cable. 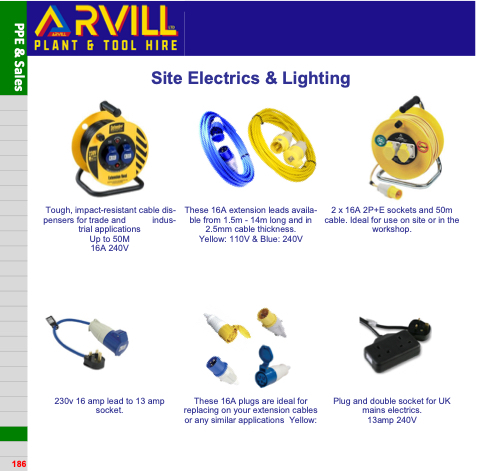 Ideal for use on site or in the workshop. 230v 16 amp lead to 13 amp socket.